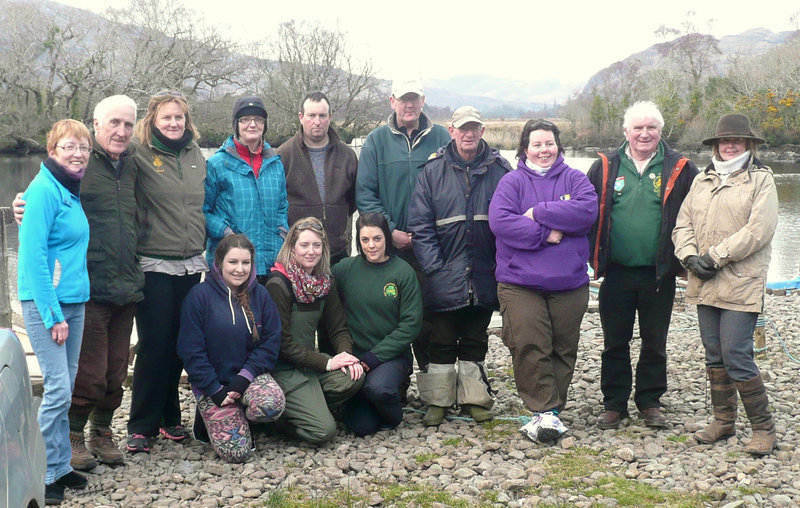 Eight women fished the lst trial of 2013 on Caragh Lake, near Glenbeigh, Co Kerry on Saturday 30th March. It was a cold bright Easter Saturday with a biting easterly wind. Many participants had travelled very long distances to fish on the lake – our Home International venue for this June, including our newest member Cher McCrave from Dublin. All women caught some beautiful wild Caragh brownies - all of which were returned safely to the lake. We all had a very enjoyable day out on the lake. Thank you very much to Mike O’Shea and Caragh Lake Fishery for hosting us and to Corey Flaherty, Steve Campbell, Billy O’Dea and Liam Buckley for boating us and ensuring our day was 100% enjoyment with nothing to do but sit back, relax and fish! Top Boatman was Liam Buckley who was kept busy netting 13 fish to his boat, and many more which didn’t measure. Roll on June 2013 when we host England, Scotland and Wales on this beautiful lake.